I'm taking a blog break until after the holidays so I can put all my creative energy into my WIP. 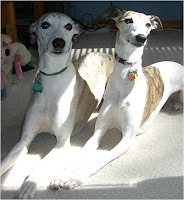 It feels a little weird, stepping away from the blogosphere for so long. I love interacting with you guys and discussing books, progress, and how each of us tackles our own writing journey. I learn from your posts and your comments, and it makes a solitary pursuit feel more like a group effort. That said, I'm excited about my blog-cation. I'm on fire about my current project, and I crave being immersed in it with fewer distractions. I feel like I'm climbing into a cocoon with my manuscript, and when I emerge, I'll be holding a butterfly. Of course, there are no guarantees so I could come out with a pterodactyl growing out of my ear. But let's hope not. Let's hope for a butterfly. When I return, I'll want to hear everyone's good news. In the meantime, I'm wishing all of you happy writing. Here's to beautiful butterflies for all of us--unless, of course, you're writing a dinosaur book. If that's the case, I wish you dozens of pterodactyls. I've been reading lots of good stuff, but I haven't posted any book recommendations for months. I'll make up for lost time and recommend three books in one post. These three books deserve more than recommendations. Each one should receive something special. Hang on to your spleens because you're about to witness something very exciting--keeping in mind that exciting is kind of a subjective word. 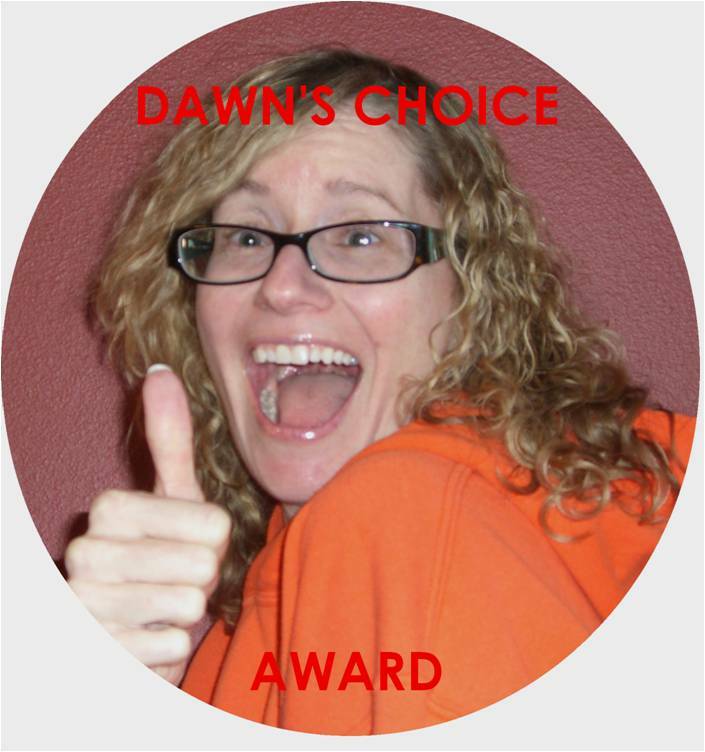 I'm about to award each book the highly coveted Dawn's Choice Award. 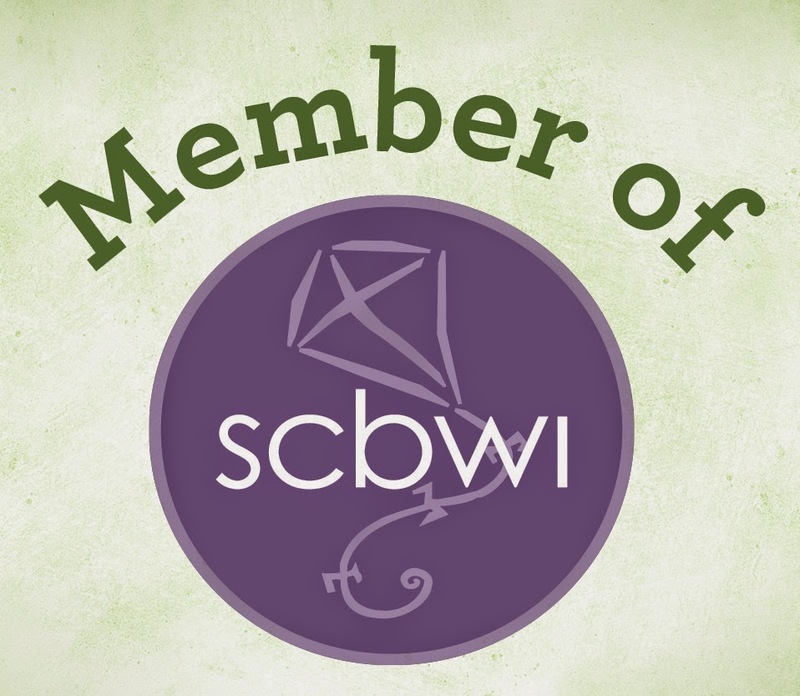 "Highly coveted" might be a stretch since my son and I just invented the award today, but you don't want to rain on my parade by focusing on that, do you bloggy friends? Besides, for all we know, authors around the world will be itching to have one of these puppies slapped on their covers by this time next year. Or not, but we can have fun with this anyway. 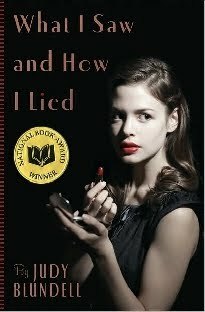 I flew through WHAT I SAW AND HOW I LIED by Judy Blundell. When Evie's father returned home from World War II, the family fell back into its normal life pretty quickly. But Joe Spooner brought more back with him than just war stories. Movie-star handsome Peter Coleridge, a young ex-GI who served in Joe's company, shows up, and Evie finds herself falling for him, ignoring the secrets that surround him...until a tragedy occurs that shatters her family and breaks her life in two. As she begins to realize that almost everything she believed was really a lie, Evie must get to the heart of the deceptions and choose between loyalty to her parents and feelings for the man she loves. Someone will have to be betrayed. The question is...who? The story, the characters, the language, the authenticating details--all of it sucked me into the pages. I also think it has a gorgeous cover and hooky title. I mentioned THE BOOK THIEF by Markus Zusak while I was reading it last summer, but it deserves more than a mention. Oh. My. Gosh. This book is so powerful and unique. I don't want to say too much because I don't want to give anything away. THE BOOK THIEF is on my list of all-time favorites. I think it's a masterpiece. 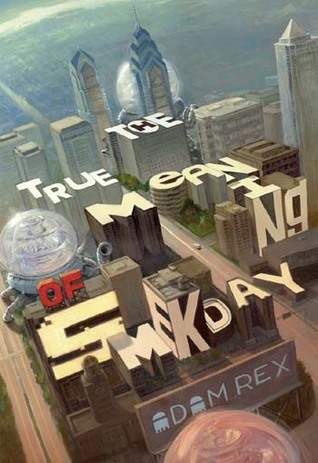 While the first two books are YA, THE TRUE MEANING OF SMEKDAY by Adam Rex is middle grade. Twelve-year-old Gratuity "Tip" Tucci is assigned to write five pages on "The True Meaning of Smekday" for the National Time Capsule contest, and she's not sure where to begin: when her mom started telling everyone about the messages aliens were sending through a mole on the back of her neck? Maybe on Christmas Eve, when huge, bizarre spaceships descended to Earth, and aliens--called the Boov--abducted her mother? Or when the Boov declared Earth a colony, renamed it "Smekland" (in honor of glorious Captain Smek), and forced all Americans to relocate to Florida via rocketpod? Grautity's story is much, much bigger than the assignment. It involves her unlikely friendship with a renegade Boov mechanic named J.Lo, a futile journey south to find Gratuity's mother at the Happy Mouse Kingdom, a cross-country road trip in a hovercar called Slushious, and an outrageous plan to save Earth from yet another alien invasion. Fully illustrated with "photos," drawings, newspaper clippings, and comic sequences, this is a hilarious, perceptive, genre-bending novel by a remarkable new talent. My son read THE TRUE MEANING OF SMEKDAY shortly after it was published. He loved it and told me to read it. It's one of the funniest books I've ever read. You know how people often write LOL to say something is funny even if it's not truly laugh out loud funny? This book made me laugh out loud several times. So there we have it. The first winners of the Dawn's Choice Award. Brings tears to the ol' eyes, doesn't it? P.S. - Note to Ms. J.K. Rowling: If you are reading this post, you can rest easy. Each of your fine books has earned the D.C.A. as well. What about you? What have you read in the last few months that really stood out?